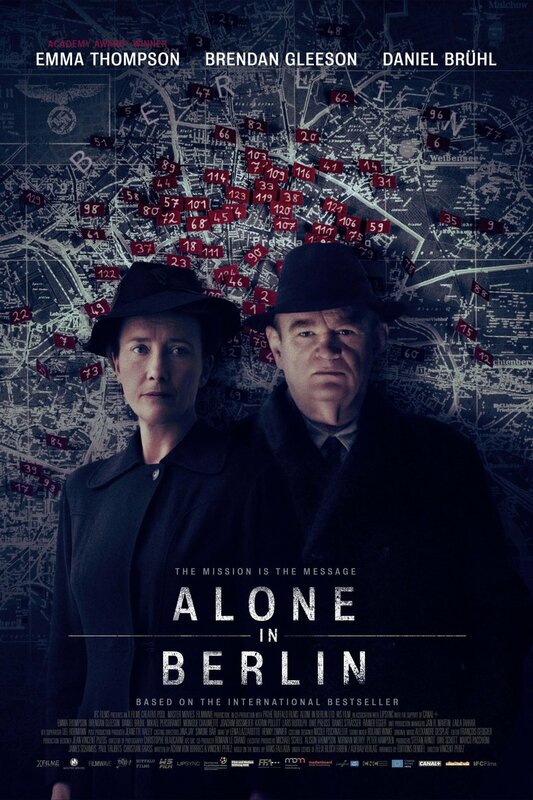 Alone in Berlin DVD release date was set for June 13, 2017 and available on Digital HD from Amazon Video and iTunes on January 13, 2017. Set in 1940 in Berlin, the story follows Otto and Anna Quangel. After finding out about their only son's death, they set out to resist the Nazis. In addition, a Jewish neighbor commits suicide, which also fuels their anger. They begin placing postcards in public places with messages encouraging people to stand against the Nazi regime. Police inspector Escherich attempts to find the source of the postcards. For three years, the Quangels evade detection. As a result, Escherich executes a man he knows is not involved, thereby alleviating the pressure on him from the S.S. Eventually, the couple is arrested and executed. Escherich kills himself and scatters the subversive postcards out the window onto Berlin's streets.